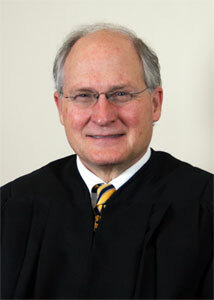 Mississippi Supreme Court Chief Justice Bill Waller Jr. will be the guest speaker at the Jones County Bar Association meeting at noon May 30 at the Laurel Country Club. Chief Justice Waller will talk about the statewide initiative to increase the availability of free civil legal services for the poor. He has called for civil legal clinics to be held throughout the state. Thirty free family law clinics are scheduled across the state during June, which is Access to Justice Month. Low-income people who need help with family law matters such as guardianships to enroll children in school, uncontested divorce, legal name change and emancipation may be able to find legal assistance at one of the clinics. Approximately 695,000 people in Mississippi, a fifth of the state’s population, live at or below poverty level, and about 1.3 million of the impoverished and the working poor – almost 45 percent of the state’s population – qualify for civil legal aid. Many struggle to represent themselves pro se in court without the assistance of an attorney. Civil legal clinics scheduled throughout June and later this year are designed to give people enough basic legal advice and directions so that they can handle simple legal matters on their own in Chancery Court. Attorneys at the legal clinics will help clients prepare documents, give limited legal advice and help them get ready to go to court on their own. The kinds of matters which may be addressed may vary at the different clinics. Limitations, if any, are posted on the clinic schedule on the Mississippi Judiciary website at this link: https://courts.ms.gov/newsite2/Legal/CivilLegal.php.